You, too, can fly into Wimbledon as famous celebrities and members of the royal family do: on a private jet or helicopter. Paramount Business Jets can arrange flights into and out of nearby airports for the two-week Wimbledon tournament, held in late June and early July at the All England Lawn Tennis Club, six miles south of London’s Buckingham Palace. The closest landing field to Wimbledon is a helipad at Ham Polo Club, which is five miles away. Paramount can arrange a helicopter to get you there. For more information on private charter flights to the world’s oldest tennis tournament, call toll-free, +1-877-727-2538. 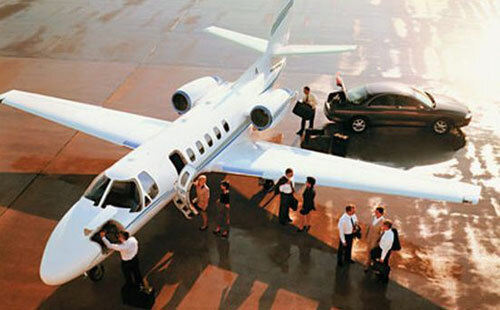 We can arrange the best flight at the best rate for you. 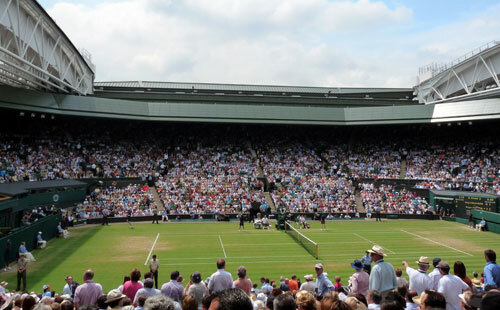 A half million people flock to Wimbledon every year to watch the best tennis players from more than 60 countries bash the ball over the net on the world’s oldest court. The only one of the four Grand Slam tournaments played on grass, Wimbledon is not only the world’s most prestigious tournament, it’s also considered the birthplace of tennis. It is where, in 1873, British army officer and Welsh inventor Major Walter Clopton Wingfield got the idea of moving outdoors informal indoor ball-and-racket games and setting up some rules. But Wingfield couldn’t have done it without help from Vulcan, the god of fire. For it was the chemical process of vulcanization that gave rubber balls the strength needed to bounce on a grass court instead of a hard surface. And that bounce gave Wingfield the idea of lawn tennis. He got a patent from Queen Victoria in 1874 for a “New and Improved Court for Playing the Ancient Game of Tennis” and began marketing his game by selling boxed sets that included rubber balls imported from Germany, nets, poles, rackets – and, most importantly, an instruction manual. In 1875, the first game of lawn tennis was played at Wimbledon and the club changed its name to the All England Croquet and Lawn Tennis Club. The first tournament for men was played there in 1877. Women began competing in 1884. Eventually, croquet became such a minor sport that it was dropped from the name. Wimbledon’s site is now known simply as the All England Lawn Tennis Club. It’s not easy to play on grass and it’s not easy to keep the grass playable on the 20 courts for the entire two-week Wimbledon tournament. As many as 40,000 spectators a day watch the perfectly groomed 8-millimeter tall grass turn to mud and clay as 660 matches are played. One of the fields is equipped with tall fans on each end to dry out the surface in case of rain. While Wimbledon has kept the game’s grass roots, the other Grand Slam tournaments – the Australian, French and U.S. opens -- use evolved surfaces of clay and hard court. The ball plays differently on each base. There’s much more to see at Wimbledon than tennis. Celebrities and royalty can be spotted watching matches from the Centre Court’s Royal Box. Spectators can often get a glimpse of the likes of Prince Harry, Kate Middleton, David and Victoria Beckham, Bradley Cooper and Camilla, Duchess of Cornwall. And, if you’re thirsty, Pimm’s is an alcoholic beverage as famous at Wimbledon as mint juleps are at the Kentucky Derby. A gin-based liqueur with fruit juices and spices, Pimm’s is mixed with lemonade at Wimbledon. And, if you are hungry, the tournament’s signature snack is strawberries and cream. If you worry about staying safe, you’ll be comforted to know that there has been a military presence at Wimbledon since German bombs destroyed 1,200 of Centre Court’s 14,000 seats during World War II. Each year, hundreds of military men and women volunteer to keep watch and help spectators. Nearly 400,000,000 viewers in almost 200 countries will tune in to watch. The most popular souvenirs are the Wimbledon towels and keychains with tennis balls. Wimbledon was suspended in 1915-1918 during World War I and again from 1940-1945 during World War II. The order of play for each day is announced the night before. A wooden racket was last used at Wimbledon in 1987. Now they are made of graphite, fiberglass and other lightweight manmade materials. Booking early has many advantages. Enter a few details below to start planning your private jet flight to the Wimbledon.